Children enrolled in Palmetto Preschool’s Pre-K classes learn and grow by participating in our BALANCED LEARNING experiences. We know that children are active learners who learn best in a developmentally appropriate program that balances play with age-appropriate rigor. Our balanced learning program is structured to provide the perfect blend of child-directed activities and teacher-directed instruction. The classroom schedule provides just the right blend of whole group, small group, and learning through play opportunities throughout the day to promote whole-child development. Learn to EXPLORE the world around them by having supportive adults that encourage exploration with familiar and new materials and experiences. 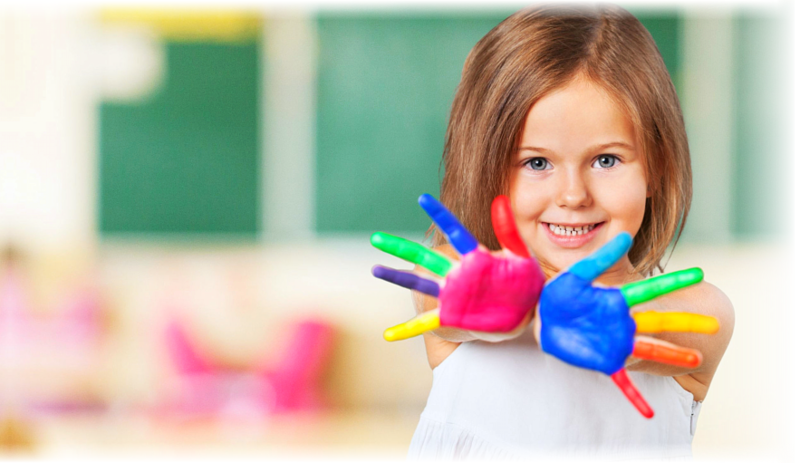 Teachers allow and encourage children to approach play and learning with imagination, curiosity, and eagerness. Learn to manage their EMOTIONS by having caregivers that establish a sense of trust and security by developing warm and responsive relationships. Teachers incorporate whole and small group lessons focused on identifying and expressing feelings, self-calming techniques, and activities that support children’s feelings of competence and self-confidence. Learn SOCIAL SKILLS by experiencing positive relationships with their caregivers who model and encourage empathy, making choices, and helping others. Teachers promote an atmosphere of cooperation and create opportunities for children to play and problem-solve with others. Develop MOTOR SKILLS by having safe and well-supervised environments, inside and outside, where children have many and varied experiences to develop both their large and small muscles. Develop LANGUAGE SKILLS by having teachers model good conversational skills, read a wide variety of books, and ask open-ended questions. Teachers and students also sing songs and complete finger plays together to assist with language skill development. Develop COGNITIVE SKILLS by being introduced to interesting materials, toys, activities and sensory experiences that help children expand on their knowledge, imagination, and problem-solving skills. Develop KINDERGARTEN READINESS SKILLS by being introduced to thematic units related to science and community learning, early mathematical foundations, and pre-reading skills. In the Palmetto Preschool PRE-K program, students benefit from a developmentally appropriate educational environment designed for exploring, growing, and learning.